Join the Cougars in stuffing childhood cancer. Help UH Volleyball #TurnItGold and donate today. "#turnitgold!! Great job COOGS! The Napoleon Family"
"Money raised from the UH Valenti School of Communication's Turn It Gold documentary screening." "Love what you're doing here! Keep up the GREAT WORK!" Childhood cancer is the #1 disease-killer of children. The National Cancer Institute (NCI) spends 96% of its budget on adult cancers and only 4% on children's cancers. Children who survive cancer have an 8x higher risk of future disease and death due to toxic treatments. 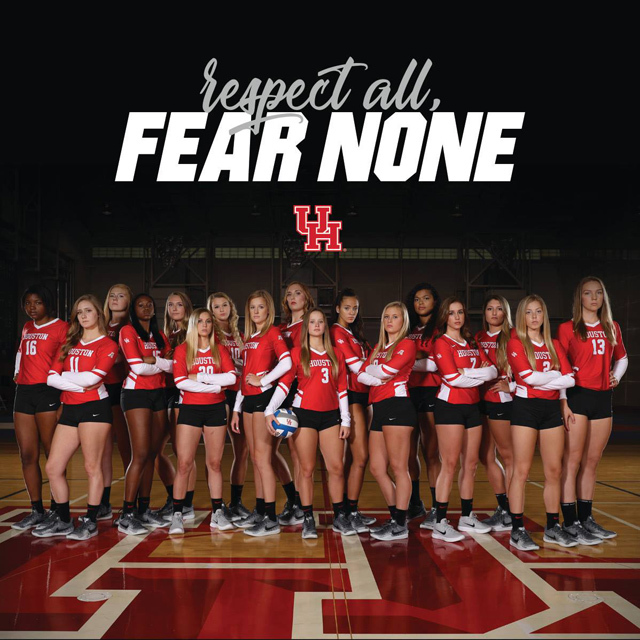 Our athletes and fans know that's not ok—not in COOGS house. Please join the team and help us stuff childhood cancer with a donation today. Cancer, we don't fear you. I wanted to do something good and make the world a better place. When I found out that children fighting cancer only had archaic & toxic treatments available, I knew something had to change. When I learned that no new major childhood cancer treatments have been created in the last three decades, I knew we could do better. When I learned the color Gold represents childhood cancer, because gold is a precious resource like kids are to us, I knew I had to tell everyone I knew. That's why I created a fundraiser to support Turn It Gold. Their campaign hopes to change the percentage of dollars invested in childhood cancer research by the National Cancer Institute (which is less than 4% for all childhood cancers). Turn It Gold has already made strides in providing improved, advanced treatments, and hopefully cures for childhood cancer. But they need more help, and I'm committed to the cause, because kids deserve it. Thank you so much for your generous donation to my fundraising campaign for Turn It Gold. Because of you, we'll be able to change the percentage of dollars invested in childhood cancer research and to make a real difference with improved treatments and cures for all childhood cancers. You're not only helping me to reach my fundraising goal, but you're making a real difference for children fighting against cancer. I'll keep you posted on our progress. In the meantime, I recommend that you check out Turn It Gold. They're doing great work.